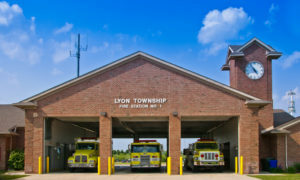 Lyon Township is one of the fasting growing communities in the Metro Brighton and Novi area. Also, this little township has quickly become known as a family-friendly community with a good school and a thriving business district. Located between Brighton and Novi, Lyon Township has easy access to I-96 and is close to US-23 and I-275. Lyon Township has become a community hub in Southeastern Michigan and has been adding new homes constantly. No matter how you slice it Lyonal Township is a great local community for families and businesses. Even in new and growing communities, the need for trustworthy local roofing contractors is growing. Thankfully the award-winning local roofing company Eastbrook Construction can service all of Lyon Township and the greater Southeastern Michigan. See our credentials and you’ll see why time and time again people choose Eastbrook Construction as their go-to local roof repair and replacement company. If you are a local housing contractor or local homeowner in need of a local roofing contractor in Lyon Township, look no further. Here at Eastbrook Construction, we work with everyone from homeowners, housing contractors, to local business owners and everyone in between. Also, we can help repair, replace, and inspect any roof. Simply contact us with details of the job you need on our contact form and we’ll get in touch. Finally, if you need a roof repair, a local roof inspector, or roof replacement, we can help! Contact us here at Eastbrook Construction. You won’t regret it! This entry was posted in Home construction, New roofs and tagged Local roof repair company Lyon Township, lyon township local roofing contractor, roof inspection Lyon Township, roof replacement Lyon Township. Bookmark the permalink.